Enjoy a jaunt to your girly girl side whenever you wear this fabulous Aaron Basha baby shoe from the Baby Shoe collection. 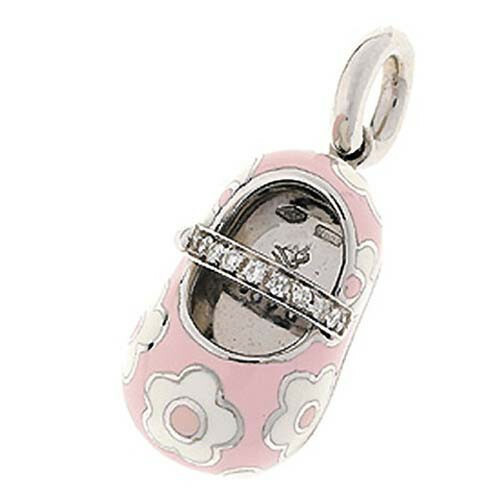 Designed in 18kt white gold, this baby shoe is coated in light pink enamel with white enamel flowers. The shiny shoe strap is embedded with enchanting white diamonds, which give this piece a feminine upgrade. This little cutie is the perfect complement to any Aaron Basha charm bracelet or necklace.